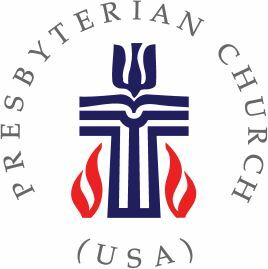 True to its mission, First Presbyterian Church is a welcoming Christian community to all. After 117 years of ministering to our church memebrs, visitors, program participants, and community organizations within our church walls, the time has come to reinvest in a critical repair, renovation, and restoration campaign. 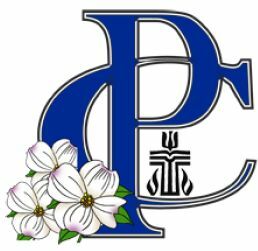 Session approved a plan to improve our building and enhance our ability to serve Christ, to nurture our members' faith experiences and fellowship, and to provide for future generations at FPC. 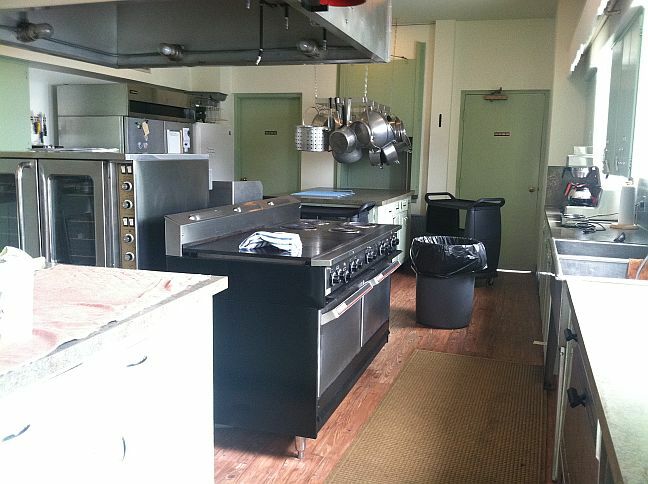 The kitchen requires electrical work, new flooring with drains installed, and removal of all sinks, stove, and santizer. THe project will also include i installation of new plumbing, pump, commercial dishwasher, stove, convection oven, and stainless countertops. There will also be additional painting and carpentry work. 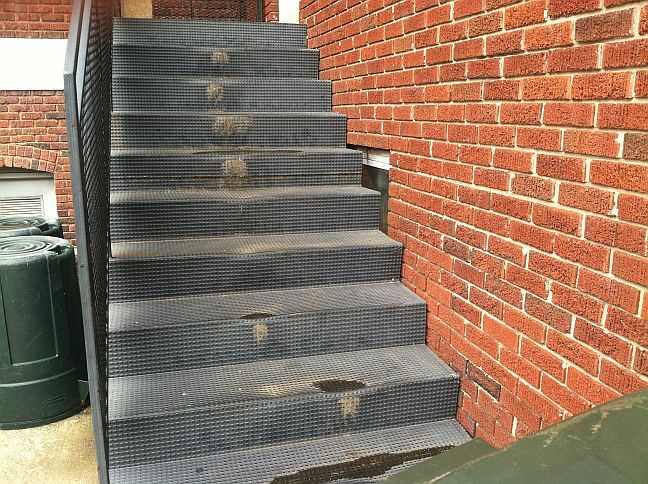 Years of exposure to the elements has caused extensive damage and rusting to the metal steps leading from the parking lot into the gym and kitchen. They need to be replaced to ensure safe usage. 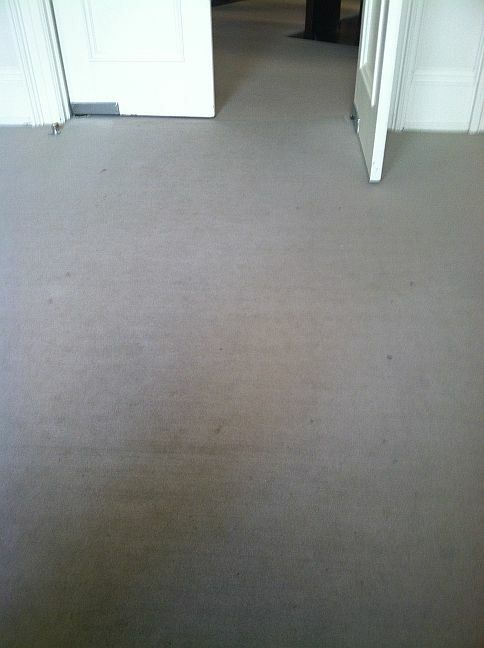 Normal wear and tear each Sunday over the past 16 years along with special programs has left our sanctuary carpet in need of replacement. Decades of freezing and thawing of the brick mortar on our building has caused the mortar to erode leaving the bricks vulnerable to cracking and water seepage in the building. 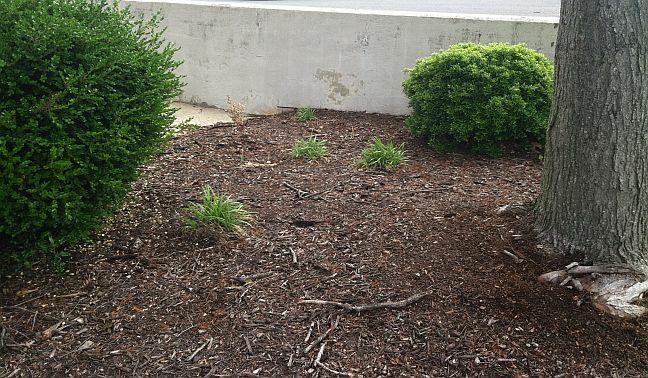 The design calls for replacing overgrown plants with over 200 new plants and the repair of the irrigation system. 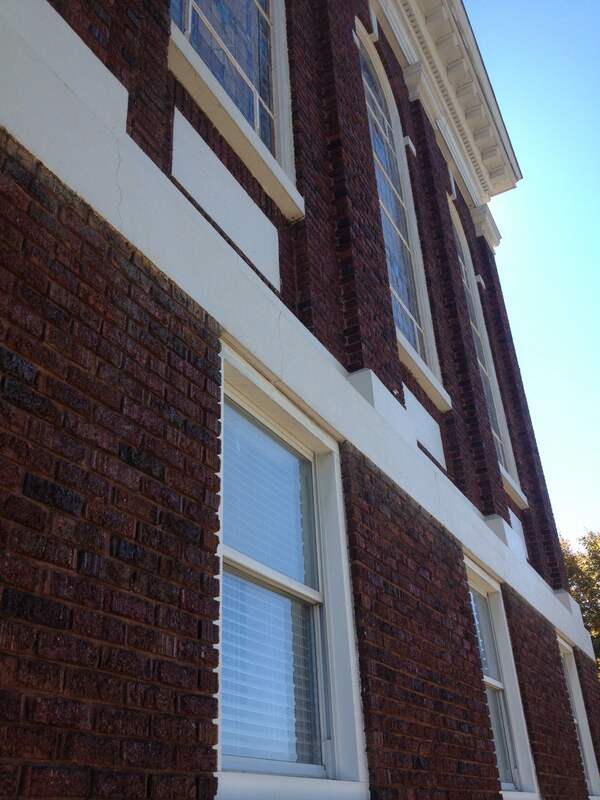 The windows in the parlor will be replaced with more energy efficient models. 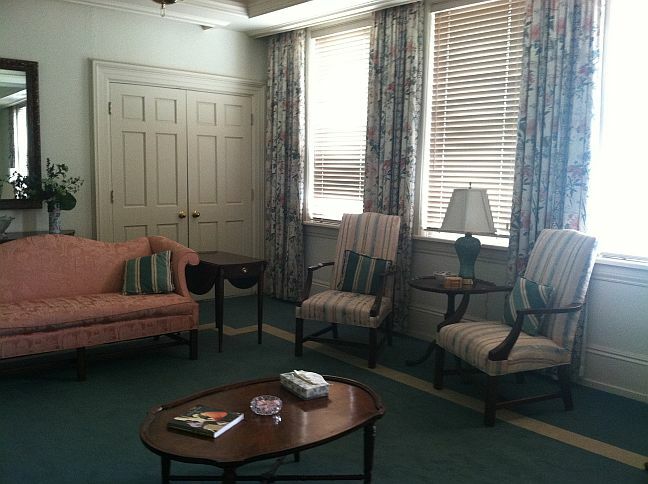 Furnishings will be refurbished including the recovering of upholstered furniture and the installation of new carpet and window treatments. The kitchen is basically completed! New appliances have been put in and hooked up along with some of our existing appliances that still work well. 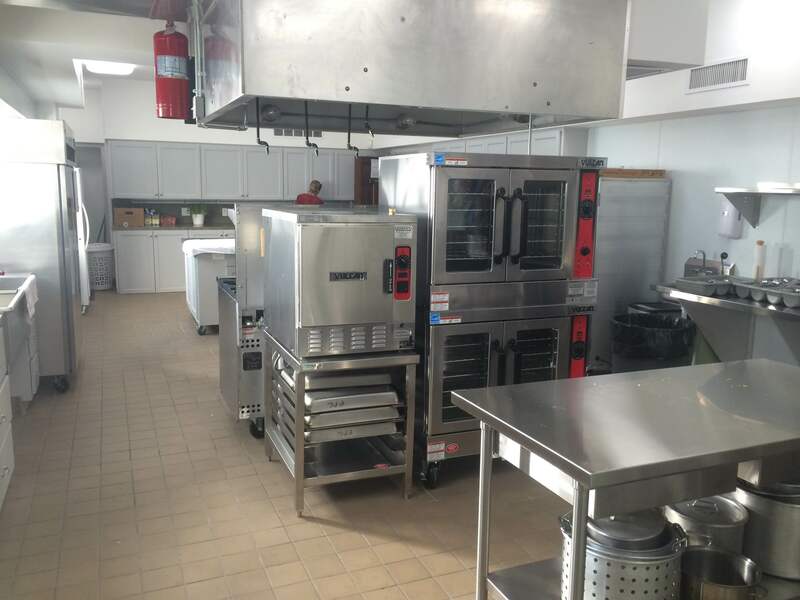 We have added a steamer, two convection ovens, and a variety of other useful appliances. 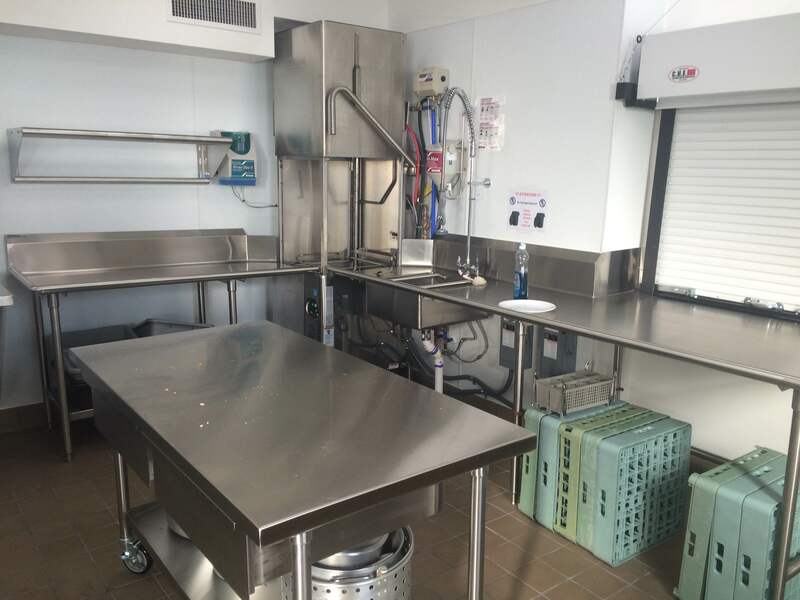 The flooring has been completed and new stainless steel counter tops have been installed. The kitchen is totally functional! A new dishwasher has been installed. This dishwasher runs quickly and efficiently, significantly decreasing the amount of time needed to wash dishes. This dishwasher will make our meal clean up much quicker! The brick poitning has been completed. 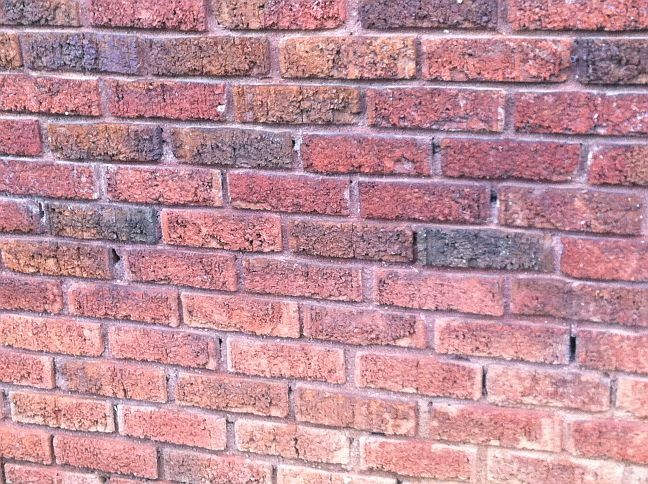 Although this does not change the appearance of the bricks, the mortar and bricks are not more thoroughly protected. 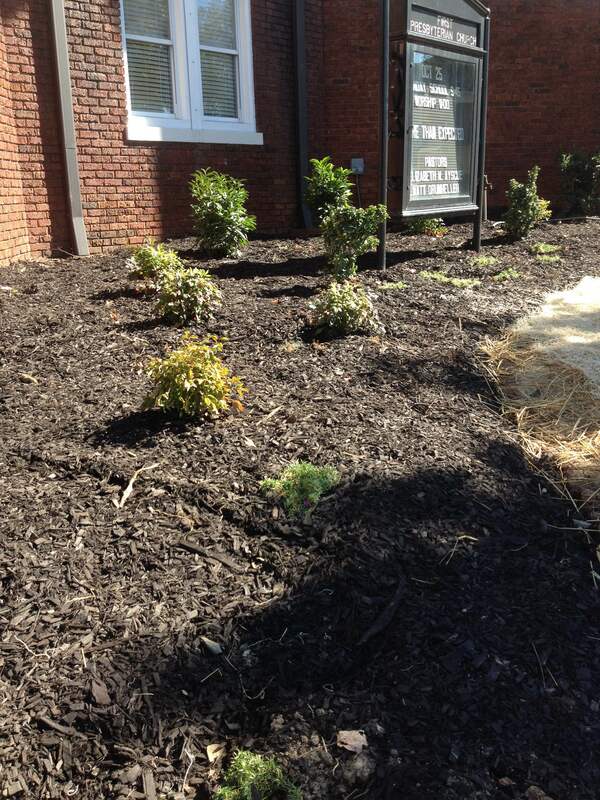 Overgrown landscaping has been torn out and new bushes and mulch have been put in place. 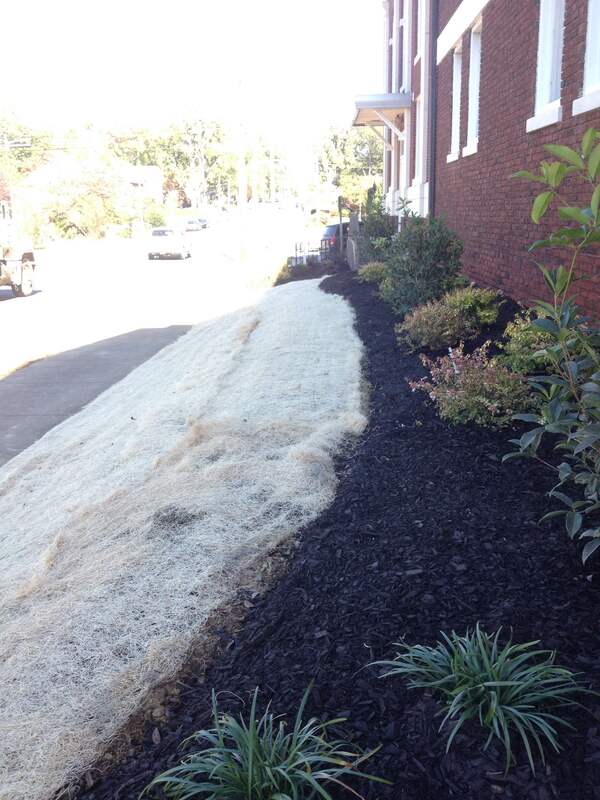 New grass has been seeded and the irrigation system has been repaired.